My recent South Dakota trip had me using a variety of items. Items I’ve had for as long as twenty years in some cases. Items I’ve used that have shown their value over numerous trips, late night campsites on the way to trailheads and countless other times. And I can picture using again and again into the future. It occurred to me that these items are perhaps things other people may find useful as well. This article is not a gift guide. I’ve already published two of those: One recently. And another one in the past. 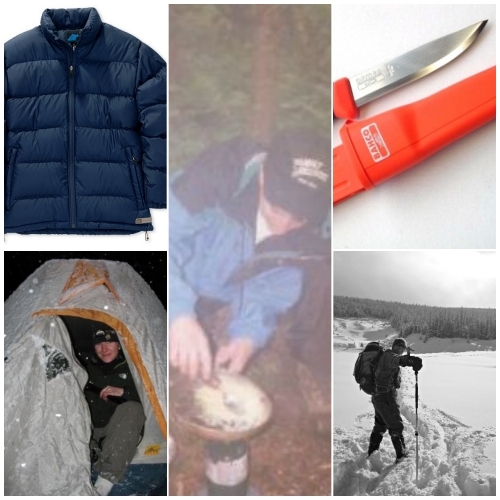 Rather, I’ve listed some items I think most three-season+ outdoors people may want to have in their kit. And I do mean the generic term outdoors people. 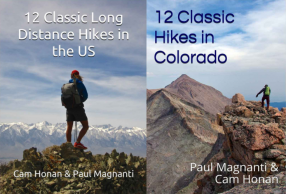 I did not write a list for thru-hikers, campers, backcountry skiers, ultra runners, adventure racers, climbers and/or day hikers. It is a list written for people who do a variety of activities. Maybe some of the above. You may thru-hike the latest alphabet soup route, but you are road tripping and camping along the way to and from the trailheads. Dirt bagging it and doing a truck bivy before some backcountry skiing. Plan on climbing at Veedawoo but camping out for a few days. Or plan on exploring an ancient settlement. You mix and match activities. Or you do different activities based on the time of the year or just preference. Some all-purpose gear is good to have in the kit. Gear items that will be used for years, have stood the test of time and work in a variety of conditions. A down coat made with the so-called low-quality fill of 650 FP down and encased in heavier nylon shell would not pass muster among the Excel Spreadsheet Brigade. But it is an item I reach for consistently. Thrash it, use it, get it dirty and takes a beating. The “heavy” zipper does well in desert sand and the lower FP down seems to more tolerant of a variety of conditions. Would I take it winter backpacking? At this point, no. I have a lighter alternative. But my Michelin Man-esque beater down coat kept me quite toasty while in -7F temperatures in December. Very functional. Look, for three-season backpacking I use a simple Swiss Army Classic/ P51 combo. And for winter, I take a no-longer-made Leatherman Kick in my repair kit. I rarely need anything different. That is unless I need an all-purpose knife. If you are road-tripping on the way to some cool destination, you are probably doing a quick camp or truck bivy. You could use your standard backpacking canister stove when making a meal or heat up hot water for coffee. But I find it is is a pain to remove the stove and set up again for the trip. Plus who wants to use the isobutane fuel before the trip? Instead I use a simple one-burner propane stove for about $20 that puts out a lot of BTUs, has excellent simmer control, works in moderate or even very windy conditions and the one-pound propane tanks used as fuel can be found pretty much everywhere. I’ve had mine for twenty years now and it is a piece of gear I plan to use for many more years to come. Pair with a simple cook pot , a pot grip, and a big Lexan spoon and you have a robust and basic cook set that will be of use for many nights. I use the pot for solo winter backpacking, too. A traditional, as opposed to a cottage gear type tent, is a good item to have in the quiver. Overnight trail work projects? Some base camping? Road tripping? Or even in milder winter conditions in a pinch? My old Kelty Zen has been used in many of these situations over the years. 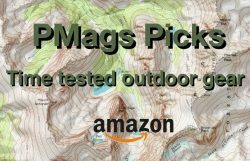 The REI Half Dome is a good and reliable tent in this category as well. Not terribly expensive at $200. I’ve advocated fleece for a variety of conditions. And a 100 wt fleece is perhaps my favorite piece of clothing. With a 100 wt fleece, you have a piece of clothing that may be used in all four seasons. But a 200 wt fleece is worth purchasing as well. A durable item that works in many conditions. For more frigid weather, I’ll pair with the 100 wt fleece or even just wear by itself. And it is a just a good general item for town use, on the way to other places or hanging out in camp. No need to get something expensive. Costco even sells good fleeces for $10 now. My 100 wt fleece was purchased at Sports Authority and is still going strong. Amazon, of course, sells a variety of fleeces at reasonable prices in both 200 wt and 100 wt types. 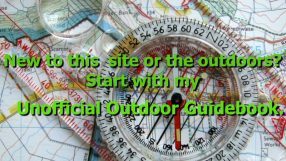 These are a few items I’ve used consistently over the years and helps make a well rounded outdoor kit. At least that is what I have found. I’ve got a couple of USMC Polartec 1/2 zip Pullovers made by Peckham. They don’t say what weight the fleece is, but I suspect that it is heavier than 100. You can find them on eBay for $20 to $30. I’ve been wearing these quite a bit lately doing chores outside and finding them quite comfortable. They have a hand warmer pocket in front which I have mixed feelings about. I seldom use the pocket and wonder if I might be able to use a seam ripper to remove it. Being fleece, they are bulky and don’t pack down well, so cutting the pocket off might get rid of some bulk. They make a nice intermediate layer and seem to be comfortable in moderate activity and while just standing around. Ha! My kit to a T. Well done. I might add that a few duck tape patches on the puffy will elevate your dirtbag status. Hah! Didn’t look close enough. You the man.